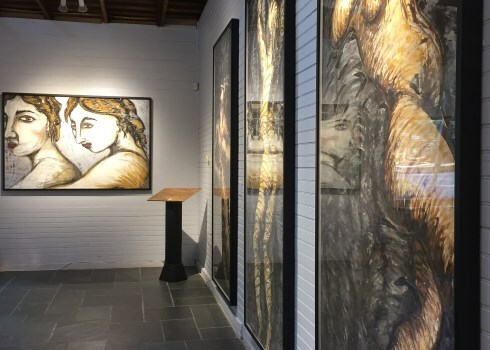 The Rehoboth Art League presents more than two dozen solo, group, and special art exhibitions each year in our six galleries located throughout our 3+ acre wooded campus. A Members’ Sales Gallery, a non-juried revolving and fluid exhibition of works by member artists, is always on display in one, or more, of our galleries. Browse the best of league members’ work in our themed- juried Members’ Showcase Exhibitions, or see notable works from local and regional artists in any of our gallery locations. Works from our esteemed permanent collection can be found in the Marcia and Henry DeWitt Gallery, located within the Corkran Gallery. Exhibitions also take place at off-campus sites, such as the Great Hall at the Rehoboth Beach Municipal Building. 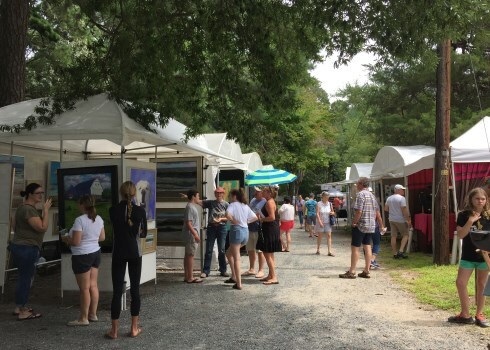 Arts-driven events can be found at the Rehoboth Art League year-round, and highlight the best of our members’ artwork as well as notable art and design of the area. In addition to our annual Cottage Tour of Art and Outdoor Fine Art and Fine Craft Show—both community favorites—our events programs also include Salons, Gallery Talks, holiday shopping opportunities, bus trips, and more. 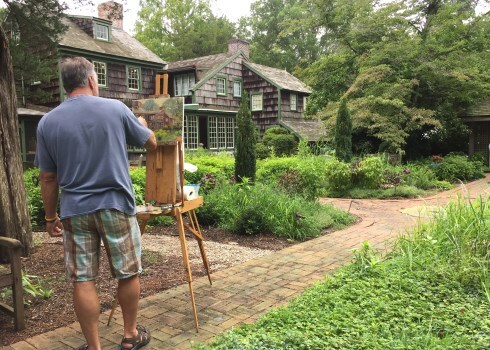 With a wide array of course offerings held year-round both on- and off-campus, the Rehoboth Art League has something for every student, from the novice to the professional and practicing artist. With more than 150 classes offered each year, our instructors’ offerings include mediums such as painting, drawing, pottery, fiber art, mosaic, creative writing, and much more.